Auto queries on Auto Expo have grown over 250 per cent on mobile devices. 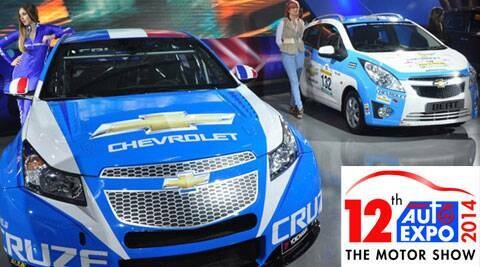 The 12th edition of the Auto Expo 2014 will be held from February 5-11. With Auto Expo 2014 just around the corner and car lovers looking forward to new launches, Internet users too seem to be in an auto overdrive on Google search. According to a report by the search giant Google on the consumer search patterns on Auto Expo, auto queries have grown over 250 per cent on mobile devices, showing the popular trend of fast growing internet audience on phones. Based on the search trends in the automotive category on Google, it was also found that New Delhi, Maharashtra, Karnataka, Uttar Pradesh and Tamil Nadu have been the top five states in terms of Auto Expo queries in 2014 so far. The 12th edition of the Auto Expo 2014 will be held from February 5-11. The peak in the search for the auto queries is expected to be much higher this time due to a phenomenal increase in the number of internet users since the last Auto Expo in 2012, the Google report said. Another interesting trend Maruti is the top searched car brand, closely followed by Hyundai, Mahindra, Honda and Tata. The report also shows that overall auto queries in India have taken a leap by crossing a remarkable milestone in the year 2013, bringing India into the top 12 list of countries in terms of absolute number of searches.